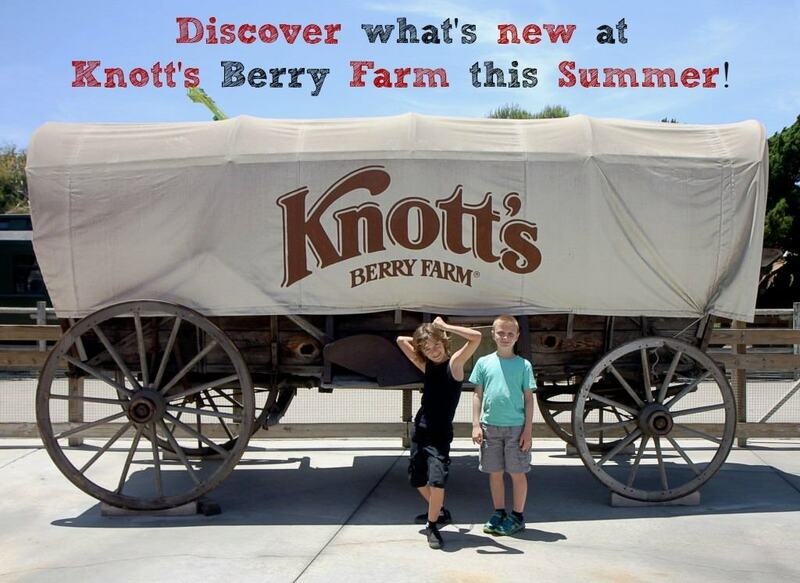 On Thursday, I took my kids and some good friends to visit Knott’s Berry Farm in Buena Park, California to check out what’s new for the summer! There was so much to explore we got right down to it. 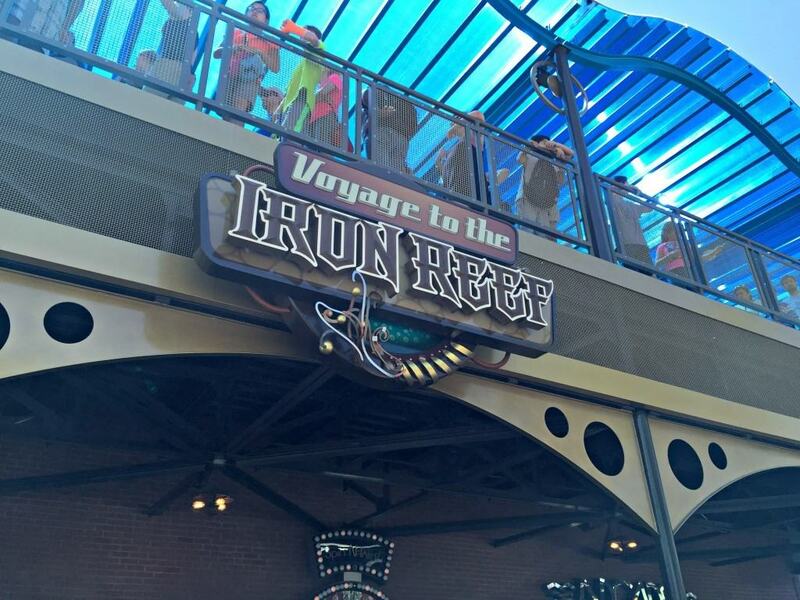 Our first stop, the new ride – Voyage to the Iron Reef! 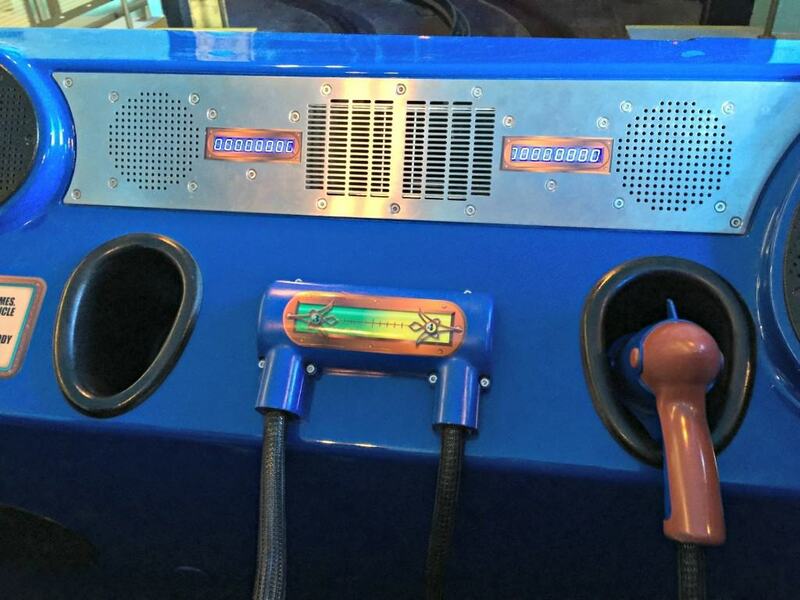 I heard such great things about this spectacular new 4-D interactive ride that I wanted to check it out for myself. Up next, we perused Camp Snoopy! Last summer we checked out Camp Snoop when they had their grand reopening. 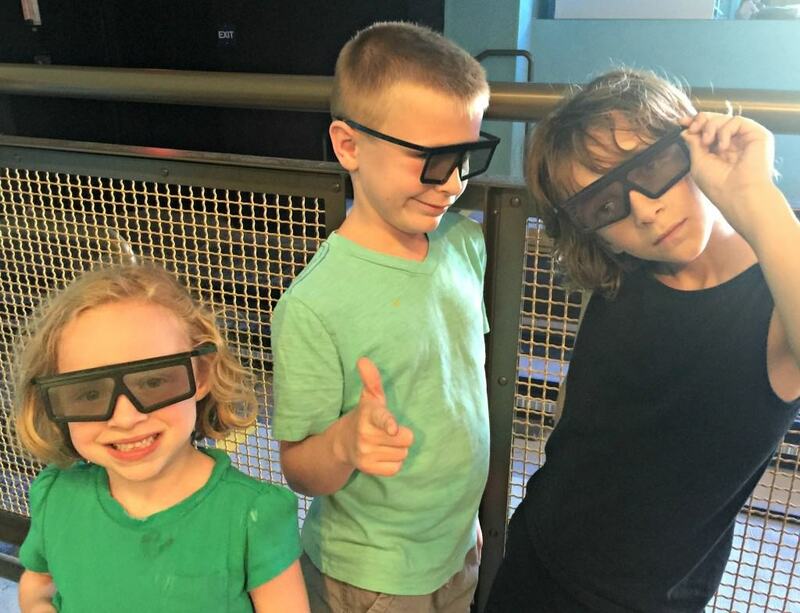 This time around we enjoyed visiting some of our favorite rides and savored the sweet memories. To cool off a little bit afterwards, the kids played in the waterfall. 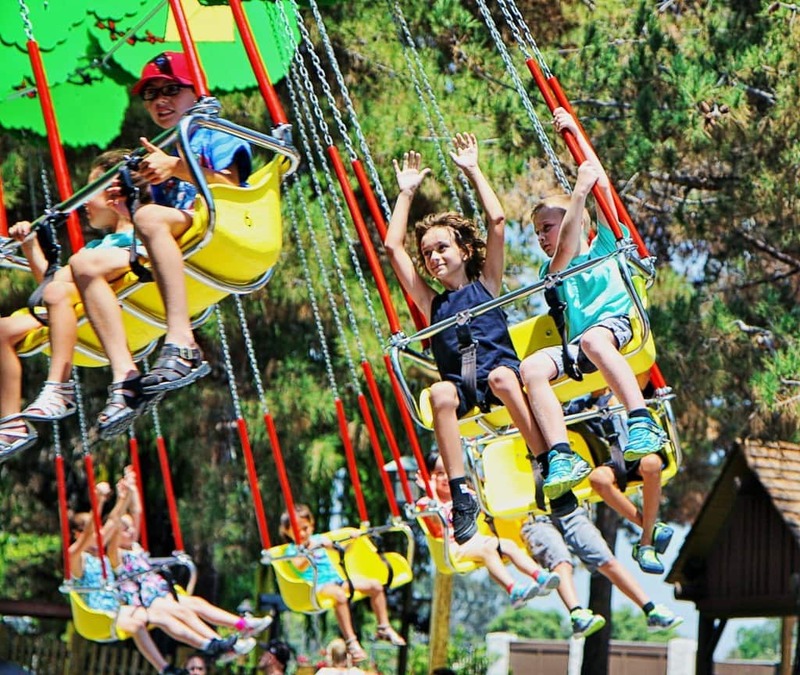 In Fiesta Village, Field Trip Girl convinced her brother to go on the Hat Dance ride more than once. 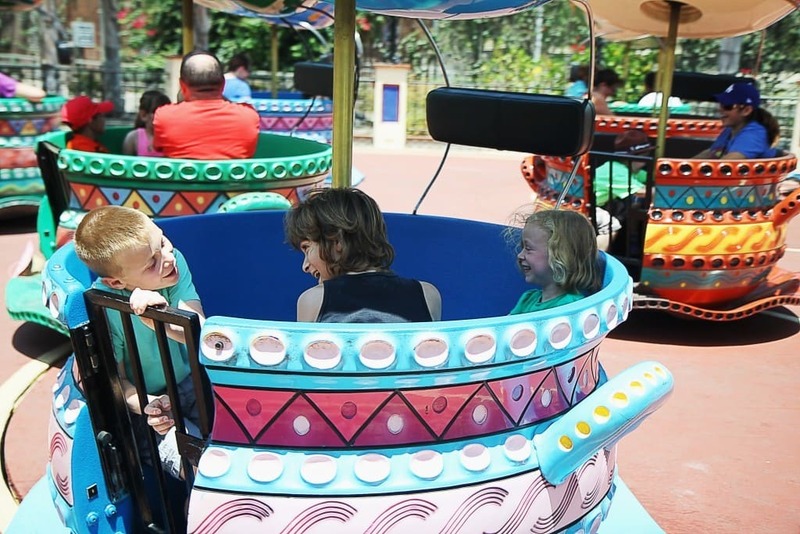 It is her favorite ride in the entire park. Just look at that big grin on her face too! After three hours of nonstop fun, we decided to take a break and get some lunch. Per the recommendation of a friend, we ate at the Ghost Town Grill. In my opinion, Ghost Town Grill has the best deal in the entire park! 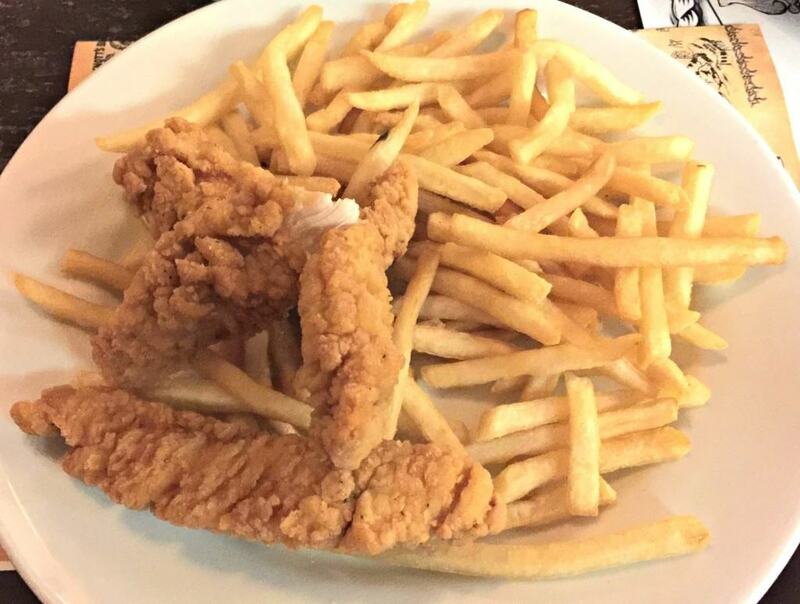 Kids can choose to get either a hamburger, hot dog or chicken tenders served along with french fries, a drink and a scoop of vanilla ice cream for only $9.99. The portions are huge too! So much so, that two young children could share a meal. After lunch, we road the Calico Mine ride. 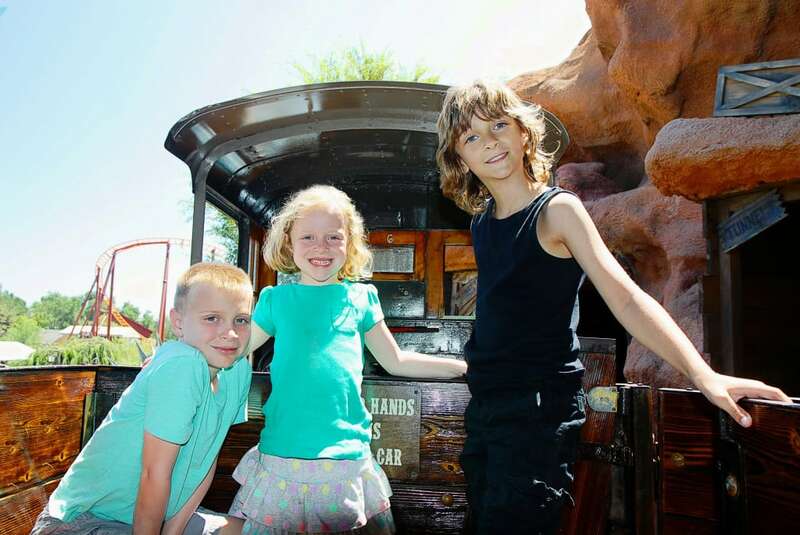 In 2014, Knott’s first major attraction, Calico Mine Ride, underwent an all-encompassing refurbishment complete with new state-of-the-art animatronic figures and enhanced scenery. 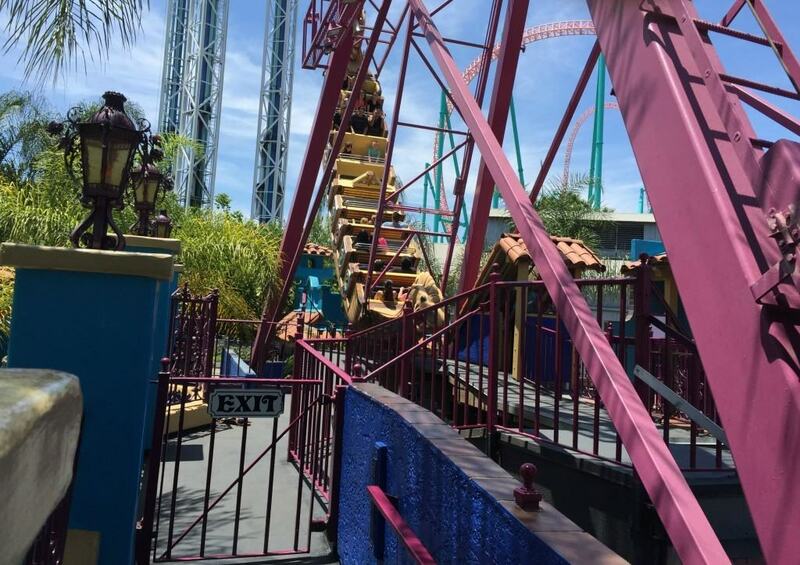 The ride has been in operation at Knott’s Berry Farm since November 1960. It is definitely worth a stop on your visit to the long standing theme park. 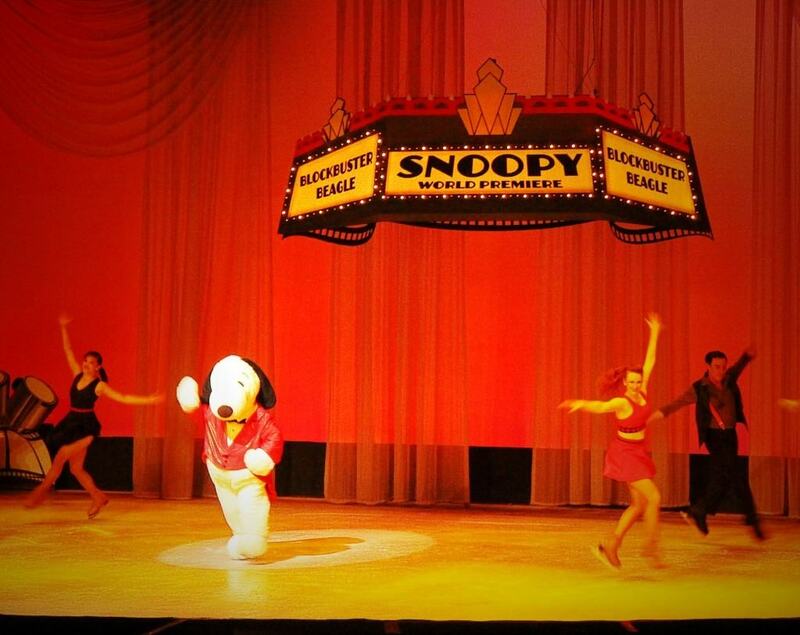 Another new attraction at Knott’s this summer is the Blockbuster Beagle ice show starring Snoopy himself! 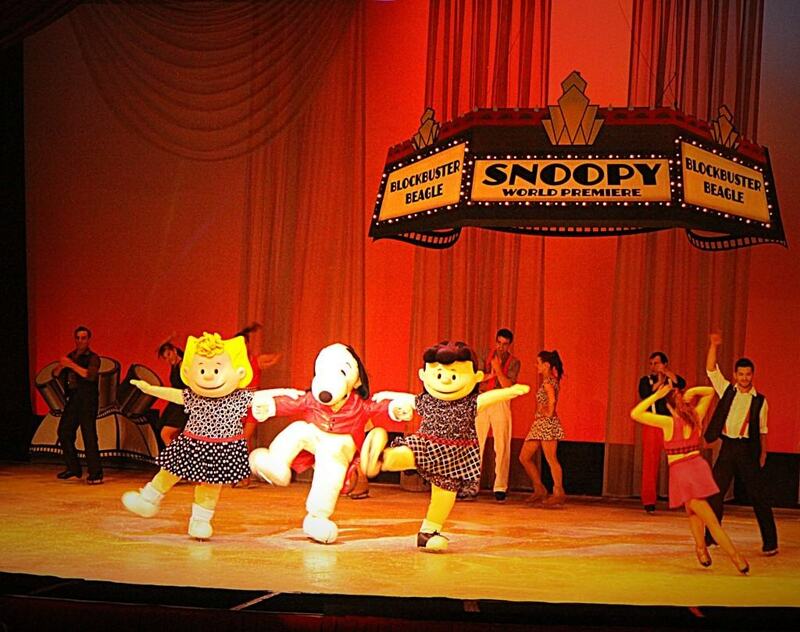 Snoopy and his Peanuts buddies “go Hollywood” bringing Walk of Fame glamour, dazzling movie lot escapades and California excitement to a brand new ice show adventure. We definitely enjoyed seeing the ice show after being out in the hot sun. Vertical Impact – The show presents the ultimate blend of extreme stunts with high flying acrobats performing a one of a kind performance perfect for the entire family! This high energy show is set to the most popular songs of today, combining everything from trampoline stunts, BMX, skaters, dancers, and aerialists. Every show ends with an informal meet & greet for the guests with the entire cast on stage. Vertical Impact Geared Up – The fun continues after dark as the cast pumps up the volume with the latest hits, the biggest tricks and awesome special effects. The pace is intensified, the stunts are electrified, and the cast is breaking down the walls, defying gravity, and taking it all to the next level. “DJ Nytemadness” keeps the party going mixing all the best of current EDM, dance & pop hits after each show while the gleeful cast invites guests become a part of the fun. By the end of the day, my little “field trip group” was tired and ready to go home. 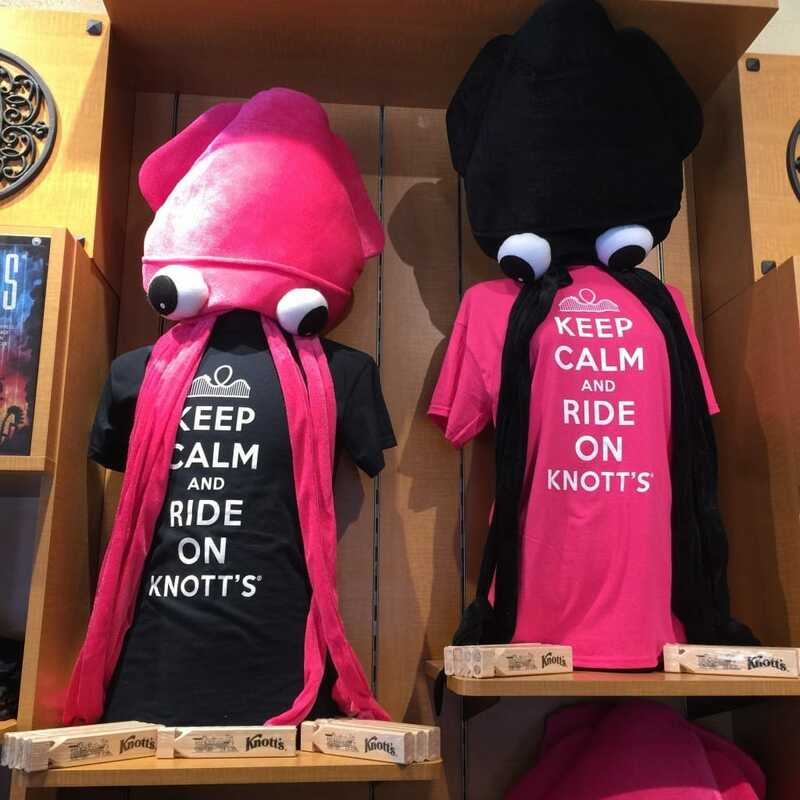 However, I made them make one more stop at the gift store to check out Knott’s new clothing apparel. There is a little something for everyone. 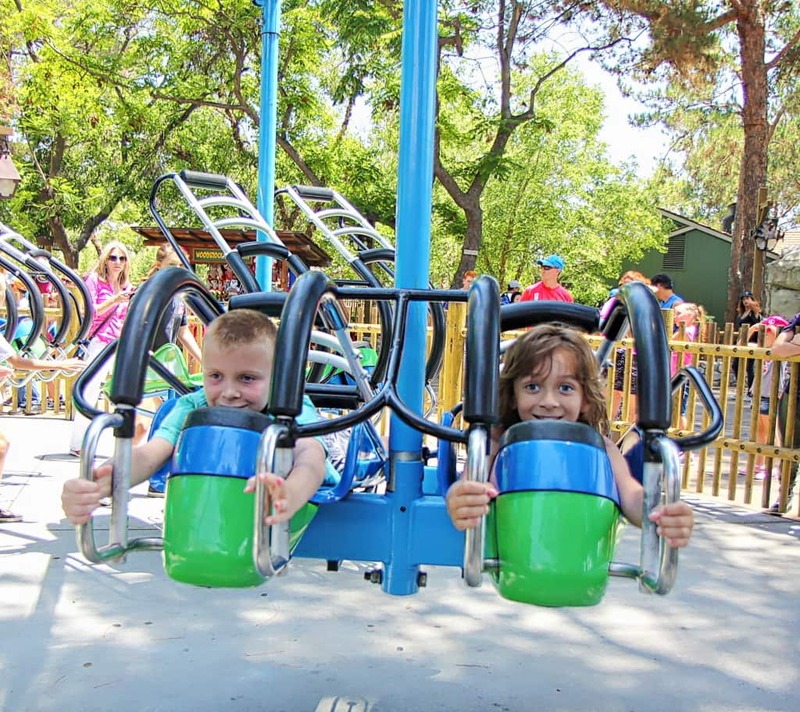 Currently, Knott’s Berry Farm is offering a 3-Day Advance Single Day Ticket for only $42! 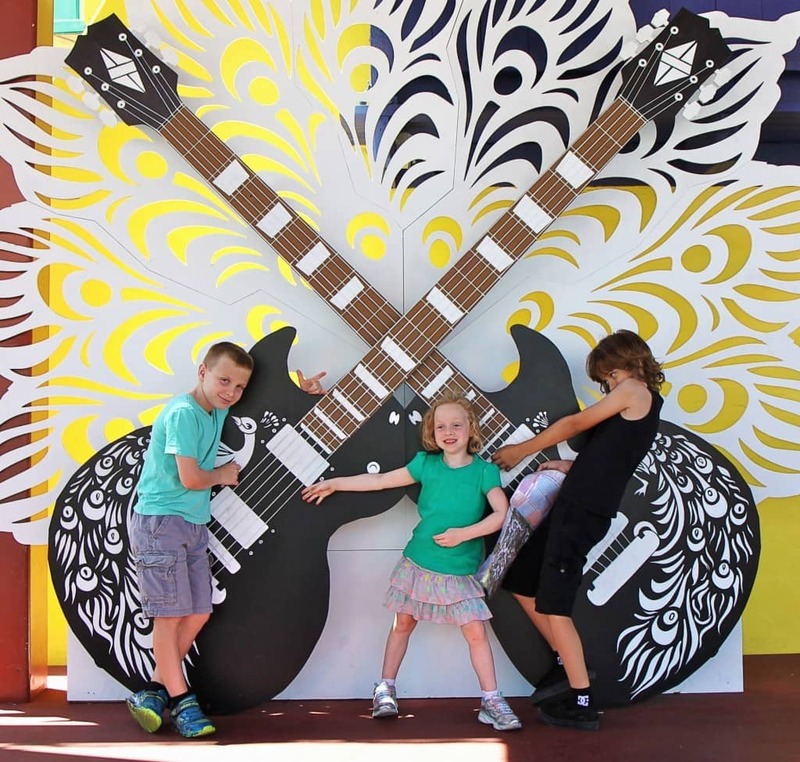 Buy your tickets online 3 or more days in advance and save $25 per ticket off the front gate price of $67. Better yet, you can get a 2015 Season Pass for only $99! 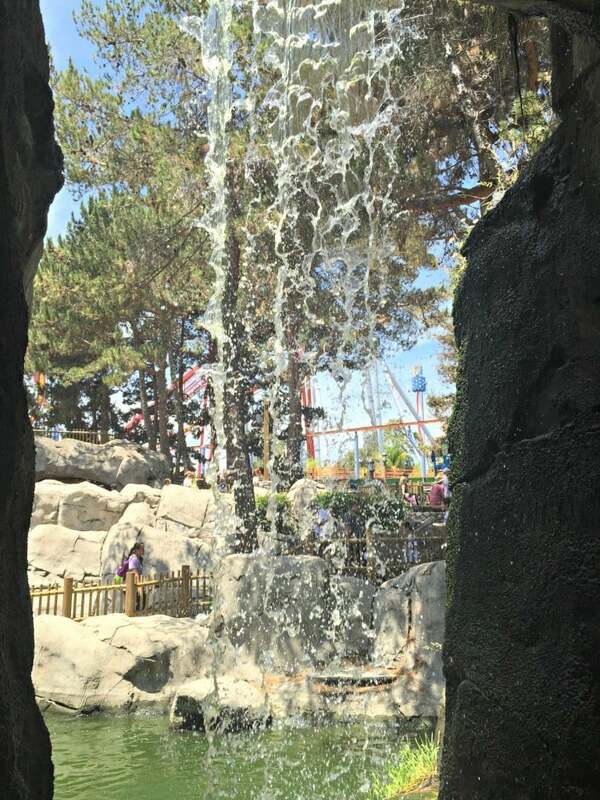 I love Knott’s! I just wish I had time to get a season pass–one of these years I’m just going to do it & go all the time! 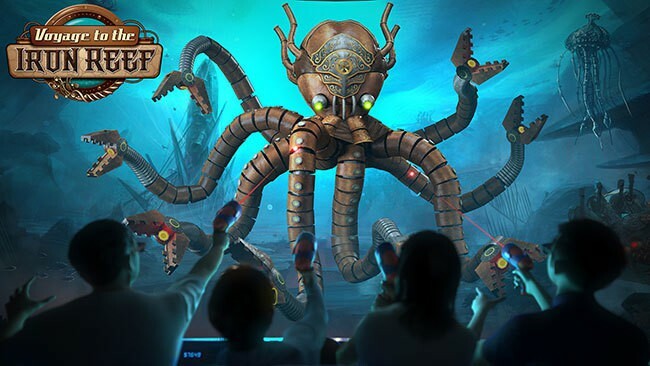 I can’t wait to ride the Voyage to the Iron Reef too.